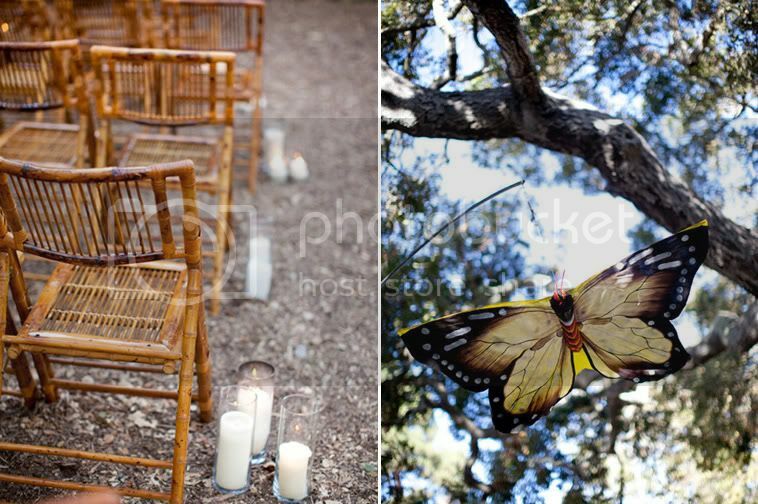 June and Paul’s beautiful wedding is full of such wonderfully whimsical details – ribbon streamers, butterflies and dragonflies – and Amanda Bevington‘s photos are lovely as always. I hope you find as much inspiration here as I have! June shares one of her favorite parts of the day: My favorite moment was seeing Paul and his family walking down the aisle next to me. We walked down two separate aisles at the same time and for a split second saw each other through the trees. Our families met in the middle and hugged before they left me and Paul together. It was truly amazing to walk down the aisle at the same time – it felt like the right way to start our marriage! Some advice from June: Remember that if you are having a good time your guests will too! 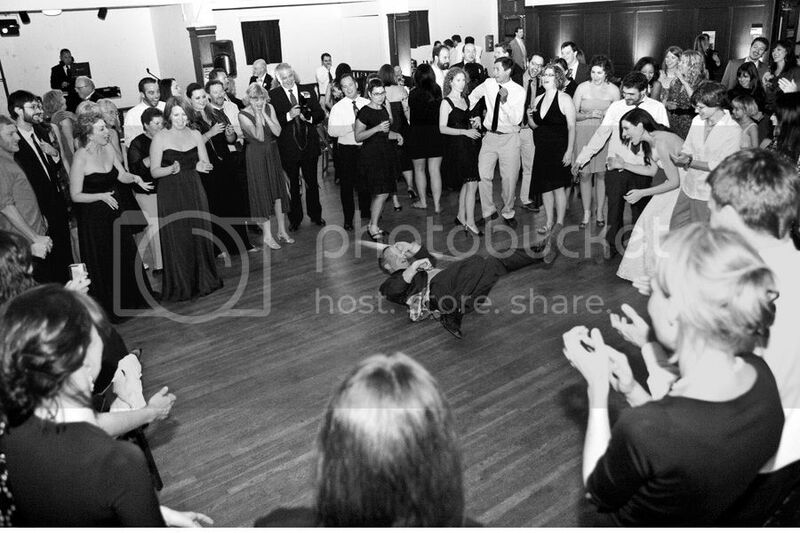 We danced so hard my legs were aching the next day. And although I was a sweaty, mascara running mess by the end of the night, I had so much fun! Oh also, remember to bring your room key with you when you leave for the wedding to avoid what happened to us. Yep, that’s right, I locked us out of our room on our wedding night. Paul was…not pleased! I love this budget advice from June: Major budget tip! Start off with a lower number than you actually have to spend. This way when you go over budget – which you will, just embrace that fact! – you are still working from a modest number. (This tip also works for setting morning alarm clocks and any other area of your life where you need to delude yourself into thinking you’re better off than you are!) One thing I will say about spending more than I ever thought I would is this: It was the best day and I don’t regret it one bit! Congratulations to you, June and Paul! 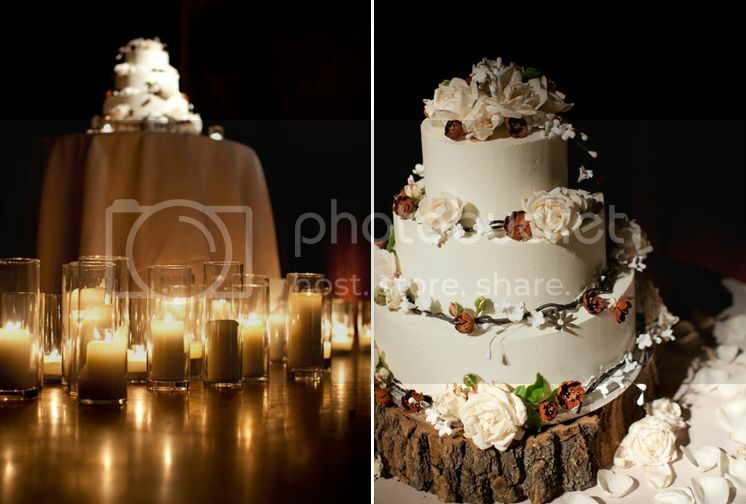 Thank you to the couple for sharing so many great details, as well as to Rebecca from Duet Weddings. And of course, thank you to Amanda Bevington for sharing these beautiful photos – you can see lots more photos from June and Paul’s wedding over on Amanda’s blog. 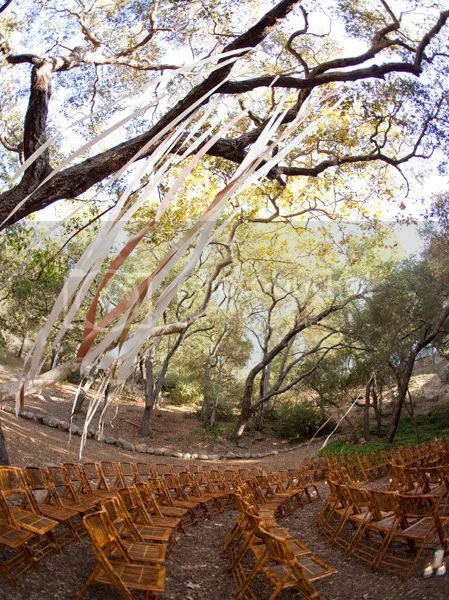 What a beautiful wedding ceremony! Beautiful! 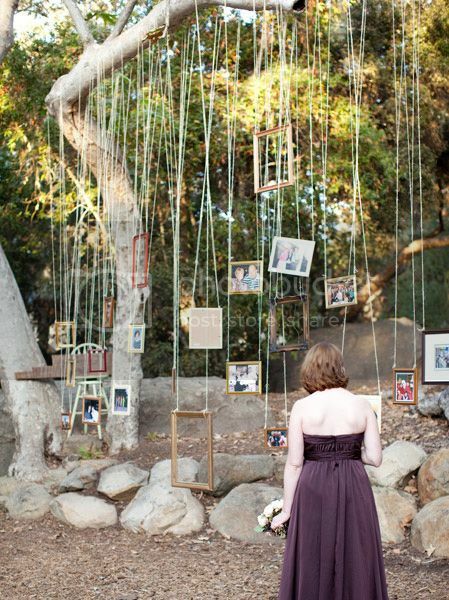 I love the hanging elements – the streamers, the butterflies, the frames. They really tie everything together and the bride and groom look stunning. 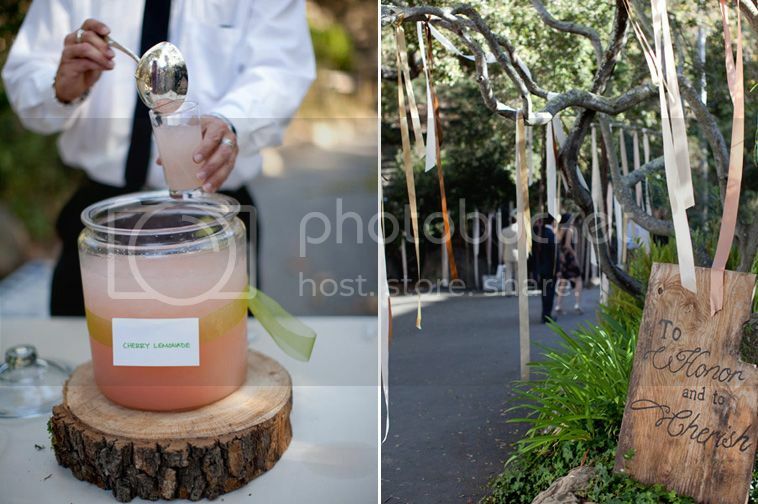 I love the drink idea! Wonderful inspiration as always. 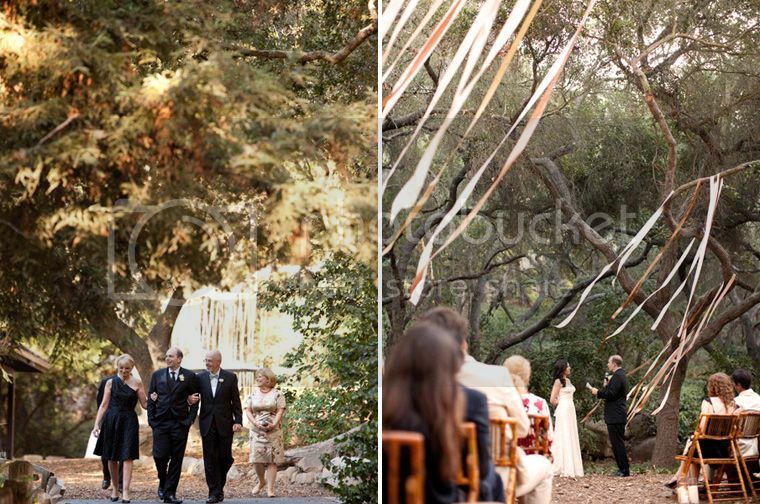 I loooove all the hanging stuff–the streamers, the photos. It compliments the setting so perfectly! the hanging frames are such a great idea! wow! this is beautiful! 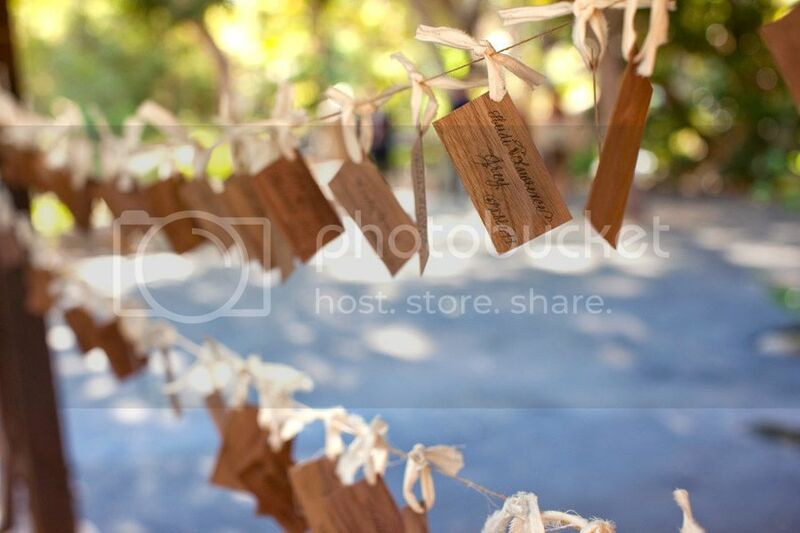 the handing frames to the ribbons in the tree=amazing! The setting and details are inspiring! What a work of art to be surrounded by on such a special day. 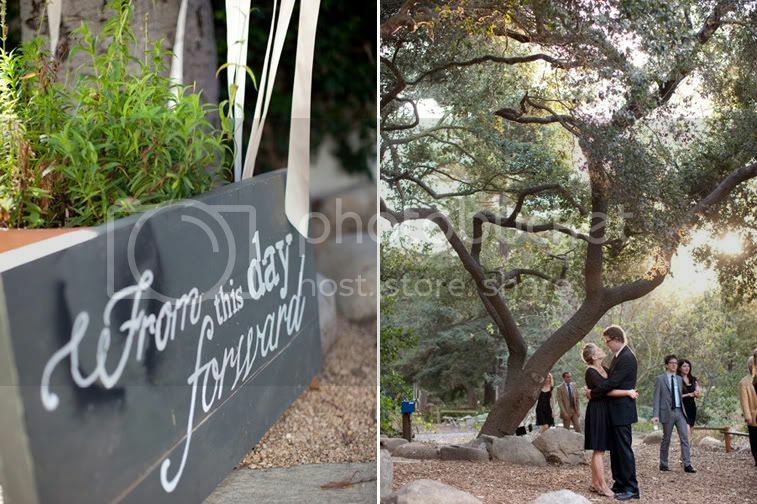 Beautiful…I love that the walked down separate aisles at the same time….sweet idea. And those gorgeous details….lovely! Those hanging frames are FABULOUS! Absolutely stunning! 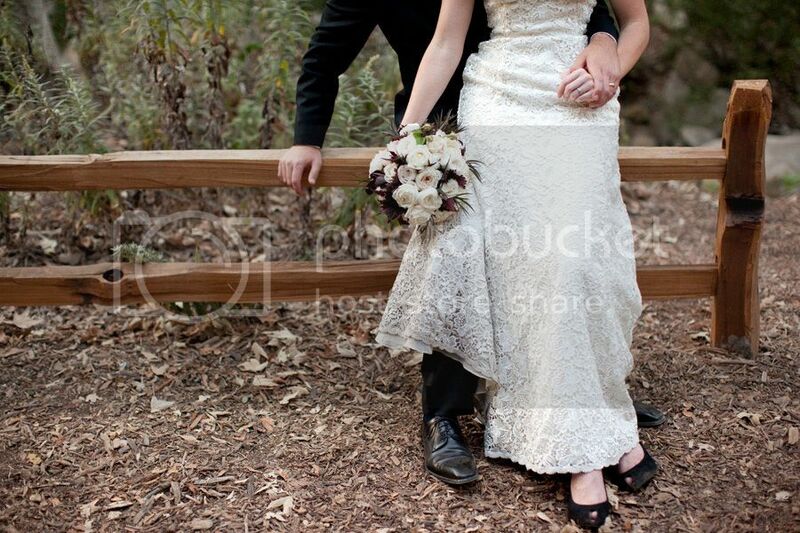 I adore the bride's dress… it suits the mood of the wedding perfectly. Gorgeous. Just really pretty in a natural and organic way. I love it when the little details have meaning, and aren't just done to be "blog-worthy"
almost your birthday!!!!!! love you, pretty. So fun! 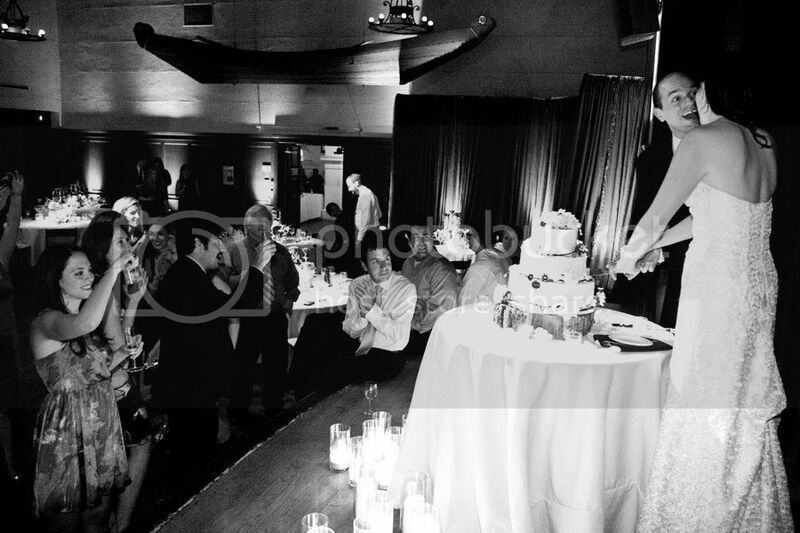 Love the ceremony shot! The bride looks stunning! 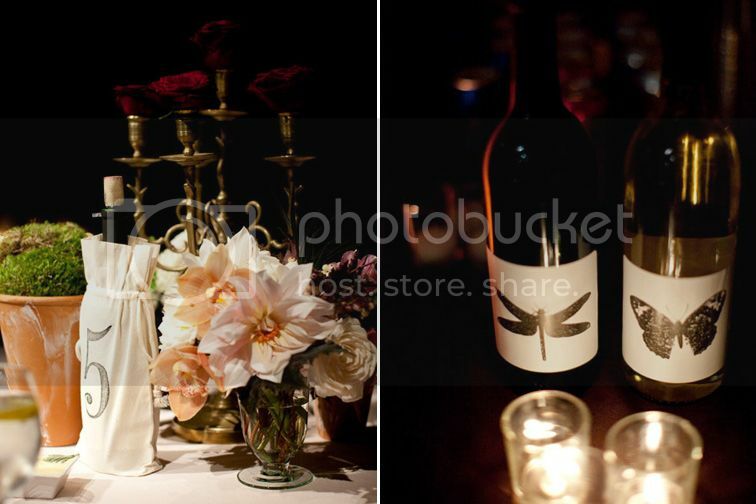 I love the wallpaper of the room where they dressed, as well as the chairs for the ceremony. And I'd definitely say yes to some of that cherry lemonade! Gorgeous!!!!!!!!!!! I love your Post. 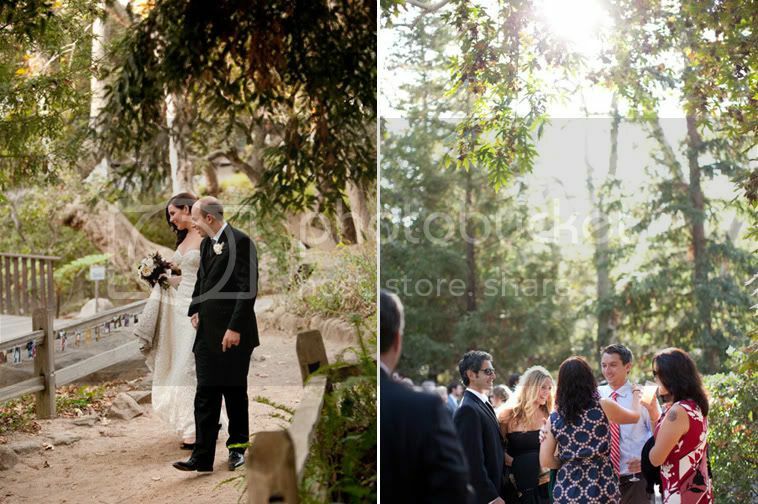 this wedding is GORGEOUS…i love those frames in the trees. The family tree?!! Gasp, this is creative! My favorite part about this wedding? June and I went to college together! I know her and her maid of honor quite well, though I haven't seen either of them in some time. 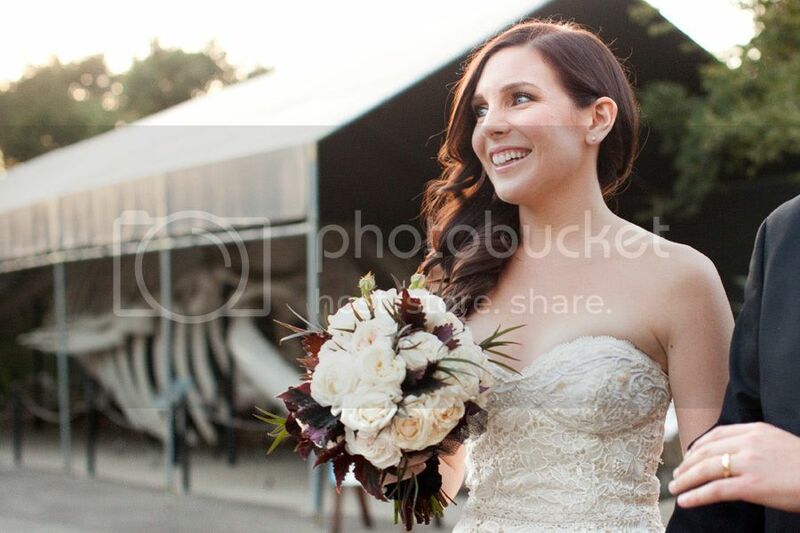 Her wedding is just so beautiful and I'm so glad you shared photos from it!